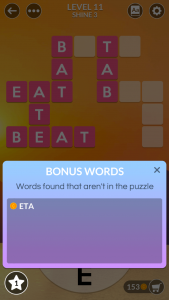 Why Wordscapes is still on the top 5 word games for over a year ? 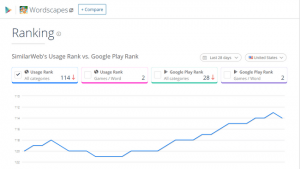 I think the good feedback, the users downloads and the positive reviews can explain the success story of this game. 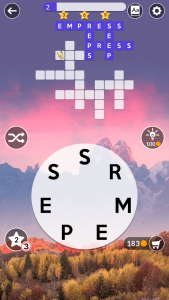 In a previous post, i made a top 5 word games list for 2018 in which wordscapes rank in the second place. First of all, after the flood copycat for the basic swipe letters concept on word games like Word Cookies by Bitmango, word connect by Zentertain, Peoplefun the developer of Word Chums for the fans of scrabble game; had a genius idea : using the same concept for crossword puzzle, with nice design which changes frequently and well chosen words. The game found takers who enjoyed playing without being bored with music or static design, The Game UX ( user experience ) made the difference with other games. Changing background every pack incites gamers to play without getting bored. Every level is handmade excluding any weird word. There is no disturbing ads that can annoy the pleasure of playing this game. Peoplefun doesn’t use the common dictionary but their own words selection, with a lot of Bonus Words to help players earning coins. You can find the hidden words by shuffling letters. Don’t use the hint button first, take your time and think calmly because all words can be found easily. 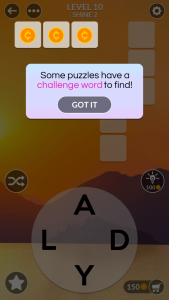 Therefore, if you get stuck, you can use the hint button to reveal one valid letter. After that, jump to another level. 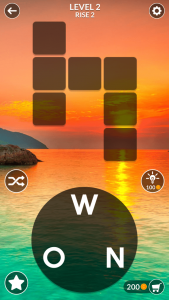 Everyday, a new challenging puzzle to earn more rewards, it makes the game more addictive for all word games fans. You can find in some levels a challenging word, find it and earn more coins, more you have better is because some levels are really difficult. 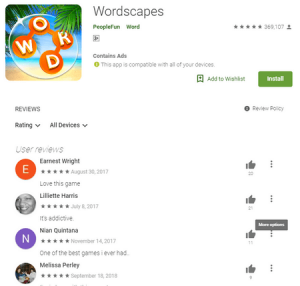 Now, Wordscapes has more than 10 000 000 downloads and more than 4000 challenging levels, proving that Peoplefun is one of the best word games developers.